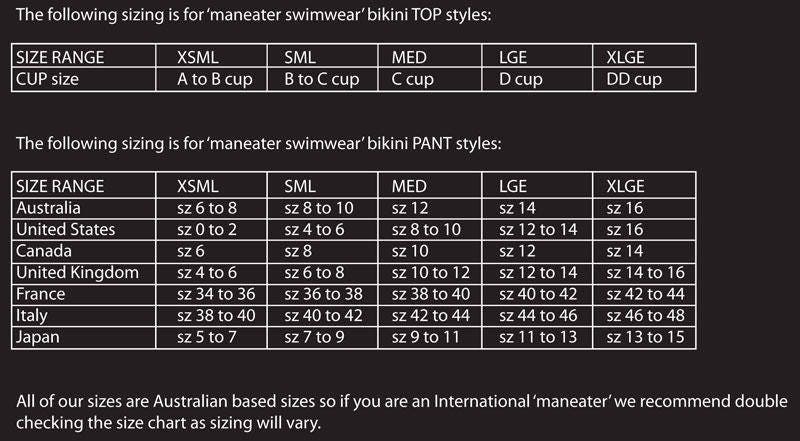 35%OFFSALE *** MissManeater VANDALIZE thin bind fixed triangle bikini top with thin bind tie side boutique bikini pant *** THONG micro cut! This MissManeater *** ONEofaKIND boutique bikini VANDALIZE collection is nearly SOLD OUT! With BLUE big hole mesh overlay on BLACK matt nylon lycra, we have PINK contrast lining on the inside! With only 1 size MEDIUM remaining in the FIXED TRI TOP & 1 size EXTRA SMALL tie side bikini pant. This set would usually retail @ $145.00....but we have it on SALE at 35% OFF!!! So GET IN QUICK!